6th District Town Hall Event Announced for This Weekend! More than 1/2 of state representatives and senators will be hosting in-district town hall events the weekend of March 10. We encourage you to attend these local meetings and talk to your elected officials about the importance of supporting HB 1527 and SB 5502. Do you know the details of your local town hall event? Please share them with us—read on to learn where to send the info! For those of you that live (or have businesses) in the 6th legislative district, Senator Michael Baumgartner (6, R) is having a Town Hall event TOMORROW. If you are able to attend the event thank him for sponsoring the bill and remind him how important it is that the bill gets passed this session. Without it, the vital MPCP will sunset on June 30, 2017. Click here for Senator Baumgartner’s online town hall announcement. 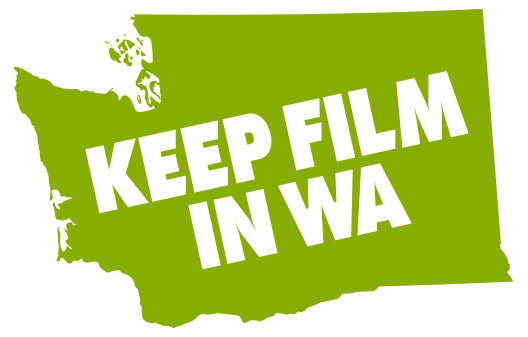 Please wear your “Keep Film in WA” T-shirt—or dress in green to show solidarity if you don’t have yours yet! Got information about a town hall meeting coming up in YOUR district? On Tuesday morning at the Water, Agriculture, Trade and Economic Development Committee hearing, Senate Bill 5502 (the bill to renew the Motion Picture Competitiveness Program) was voted out of this policy committee. While in committee, the bill was amended to add clarifying language about how Washington Filmworks interfaces with the Department of Revenue. Because the bill was amended in committee, the bill is considered a substitute, and will now be referred to as SSB 5502. The bill was referred to the Senate Ways and Means Committee, and we are awaiting a date for the hearing. 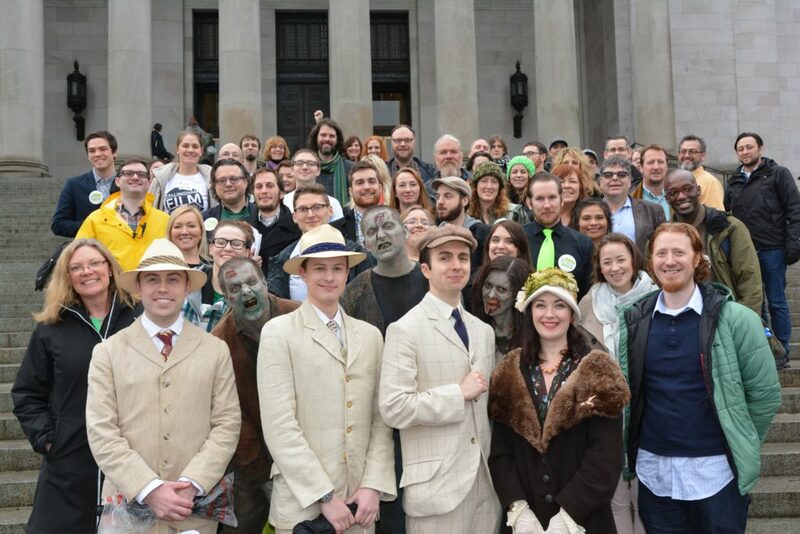 The Keep Film in WA campaign would like to thank the 49 people who attended the Senate hearing on Thursday, February 9. A special shout out to the Spokane film professionals that braved the snow and convinced the staff at the WSU Spokane campus to open it’s doors so that they could testify remotely! We need film industry professionals that live or work in the 43rd legislative district to let Speaker Frank Chop (D, 43) know that we support renewal of the Motion Picture Competitiveness Program as it is currently structured in HB 1527. Equally important is that he let Representative Kristine Lytton (D, 40) know of our concerns. Need inspiration? Check out filmmaker Megan Griffiths’s guest editorial for The Stranger’s Blog about the importance of the incentive, here. In the article, you can also find Speaker Chopp’s contact information. 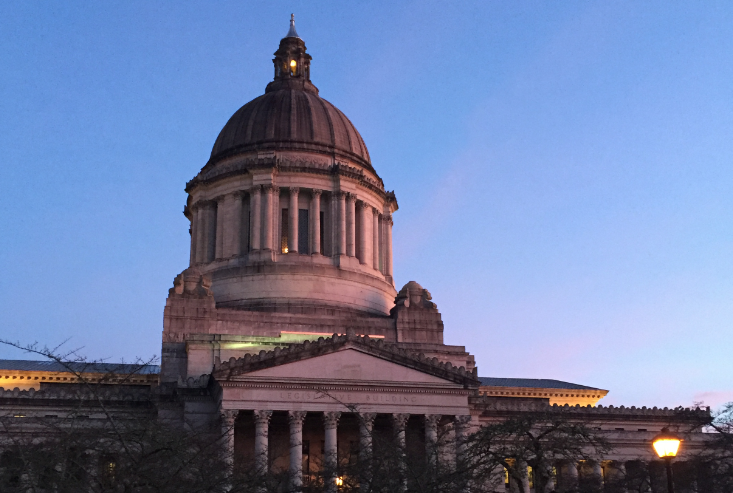 Dust off the driving directions and get ready to join us in Olympia for a hearing in the Senate Committee on Water, Agriculture, Trade and Economic Development! The hearing will take place at 8:00 am on Thursday, February 9, 2017. There will be a panel of film professionals testifying on behalf of SB 5502, the bill to renew the Motion Picture Competitiveness Program. But we also need to fill the room with Keep Film in WA supporters who will sign in on behalf of the bill and be present at the hearing. Exciting news for those of you east of the mountains – you can now participate remotely by teleconference at WSU Spokane Riverpoint. If you are interested in attending via satellite, please sign up HERE. In signing up to participate remotely by teleconference at WSU Spokane Riverpoint, make sure to register for the correct bill: SB 5502. We already have panelists to testify, so please simply sign in “pro” for the bill. Space is limited and you must register to attend no later than Wednesday, February 8 at 8:00 am. 30 people attended the House Hearing in January. Can we rally more people to make the trek to Olympia next week? Please help to make it happen! If you plan to attend the Senate hearing in Olympia, RSVP here. Prime sponsored by Senator Randi Becker (2,R), SB 5502 maintains the Motion Picture Competitiveness Program at its current level of $3.5 million per calendar year with a sunset date of July 1, 2027. The bill also allows for a one-time allocation of up to $3 million for a major motion picture production with a total budget of at least $20 million that portrays a significant historical event in Washington. If no such production is secured by July 1, 2019, the allocation will be returned to the general fund.